Please, if you will, MAKE A NOTE OF IT!! I believe that I will kick things off, where this is concerned, by submitting the folks that I know need submitting…along with all I know of them. I suggest, highly, that you use this as a template to do your own lists; of which, after checking my email, I have…none!!! Not one list! I imagine this is due to your not knowing exactly what I want from you, and how to do it…well, that roadblock no longer exists, thanks to what I’m doing RIGHT NOW! SO GO CRAZY!! Let’s do this then, eh? In September 2011 the website http://www.solicitorsfromhell.co.uk (SfH) was closed down after Law Society boss Desmond Hudson took legal action against site owner Mr Rick Kordowski (RK). Hudson claimed to be acting on behalf of all solicitors yet only a handful of the many hundreds listed on SfH agreed to take part in the class action. In an attempt to justify his action Hudson claimed that if members of the public are unhappy with a solicitor they can complain to the Legal Ombudsman (LO). Those of us with experience of the LO have only just stopped laughing at Hudson’s statement. Current LO, Adam Sampson, recently stated that he intended to name dodgy solicitors. This would be a good first step towards cleaning up this tarnished profession. And, if the LO (or any other official body) actually decide to do the job properly then there will no longer be a need for websites such as this, or others mentioned here, to exist. I for one will then remove this website from the internet. When it became obvious that the legal system would stop at nothing to silence critics of the legal profession i felt I had to do my bit for freedom of speech. Having downloaded a copy of SfH I decided that the best course of action would be to publish those firms listed on SfH. Hopefully this will help members of the general public make an informed decision on whether to employ the services of those mentioned. Obviously I have not included the actual comments that were complained of. Solicitors firms are mentioned in aplhabetical order. If a solicitors firm is mentioned more than once then it just means they had more than 1 listing on SfH. Please do not base your decision on whether to hire a solicitor purely on this website. Do your own research before you part with your money. See how to avoid Libel and other such accusations activated to silence free speech under article 10 of the Human Rights Act in General Information. Lawyers call this kind of thing ‘Qualified Privilege’ which means the right to lie, defame, harass, threaten and bully without any fear of being held to account. THE PUBLIC NEVER AGREED to these rights or conditions, they awarded themselves this right. For the DWP solicitors office we feature DANIEL LAVERCOMBE, a solicitor who with the help of his colleagues, went to great lengths to hide his corrupt activities by trying to suppress publicity and involve accomplice YAHOO as a means of silencing accusations of deception and fabricating evidence, which will be featured in full. POLICE CORRUPTION, never gone, rarely exposed and denied emphatically by them of course! They say it might be two per cent. Rubbish of course, its more like eleven per cent at least, but figure massaging and conjuring statistics to coincide with their own public image of policing is flawed by what you will see on this site. 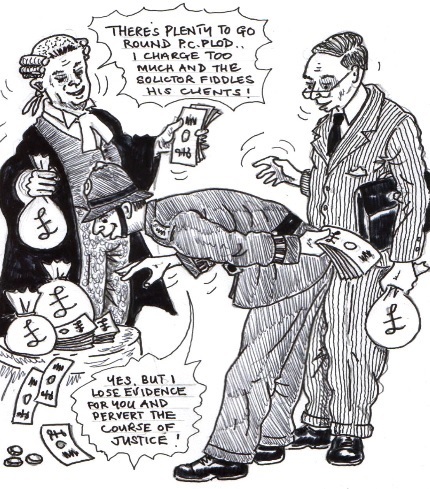 They go to great efforts to conceal wrong-doing using misdirection, falsifying figures, deception, fabrication, destroying evidence against them and having it mysteriously disappear, and all enquiries into police corruption have run aground or failed miserably due to non-co-operation’ which effectively brings such investigations to a grinding halt with nowhere to go. This was never more so when ‘Operation Countryman’ was wound up by the Government who decided that attempts to bring hundreds of officers to trial were being thwarted by the police at every turn and the revelations in ‘The Fall of Scotland Yard’ showed bribes in the elite squads such as drugs and the Obscene Publications had bent officers lining their pockets like crooks; this was the third enquiry set up to find corruption. More recent ones have followed such as ‘The West Midlands Crime Squad’ and one in the 90’s, none of them satisfactory or successful. We apologise for our disappearance, but this was entirely due to vexatious solicitors trying to silence the website for their own gain, and difficulties experienced when seeking a new hosting which proved to be very stressful due to the lack of support and help that lacked throughout the transfer of site material and site paging. We are now back up and complete with oodles of more cases and information and although we are a staff of three plus our investigator we will continue to fight for truth where lies exist and corruption travels in its many forms throughout society and the Law. 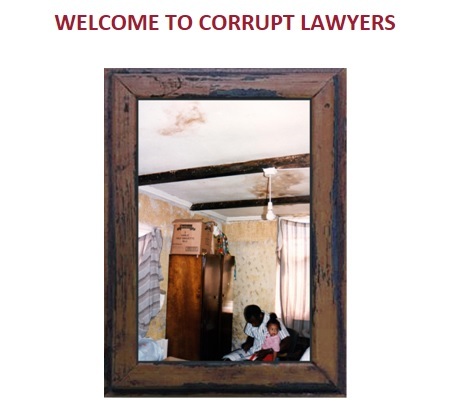 This entry was posted in Uncategorized and tagged bent, cops, from, hell, lawyers, solicitors. Bookmark the permalink.